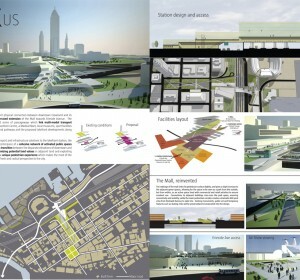 In 2009, Cleveland Design Competition: Lakefront Station challenged entrants to propose designs for a new Multi-Modal Transit Center and Pedestrian Connection from downtown Cleveland's Civic Center and Mall to Cleveland's Lakefront and Northcoast Harbor. Founding Principal, Ehrenkrantz Eckstut & Kuhn Architects (EEK) Stan Eckstut, EE&K's senior principal, has a national reputation as an innovator and leader in large-scale architecture extending back over thirty years to his pioneering work designing the master plan for Battery Park City. His singular understanding of architecture as a practice that creates and sustains the public realm is evident in all his designs, from large-scale waterfront developments and intermodal transportation hubs to campuses, schools, and even prototypes for bus shelters. Stanton is currently assisting the Cleveland-Cuyahoga County Port Authority is developing a master plan for over 100-acres of lakefront property located north of the Competition Site. Principal, Grimshaw Architects Vincent has been with Grimshaw since 1996, and was responsible for establishing the practice's New York office. In this position he led the firm's first American commissions - including the Donald Danforth Plant Science Center, the Experimental Media & Performing Arts Center at PRI, and the Fulton Street Transit Center in Manhattan. In addition to leading projects for Grimshaw, Vincent servces on the advisory council for the New York Center for Architecture and regularly contributes to coures in systems integration at Yale and Cornell universities. He is also a Director of EVA, Environmentally Viable Architecture, a not-for-profit organization devoted to developing software tools to better integrate sustainable design into the creative process. 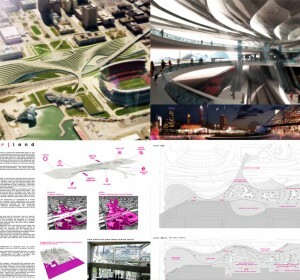 Vincent graduated from Cambridge University in 1991 and is a qualified architect in the US and UK. Principal, Cannon Design - Design Director, Yazdani Studio For most of his design career, Mehrdad Yazdani has practiced at the intersection of the large office and the small studio. 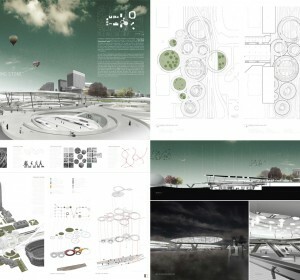 Named by Progressive Architecture magazine as one of the world's top emerging architects just three years after earning his Master of Architecture from Harvards Graduate School of Design, Mehrdad has succeeded in bringing a design sensibility characteristic of boutique firms to a broad portfolio of significant civic buildings. 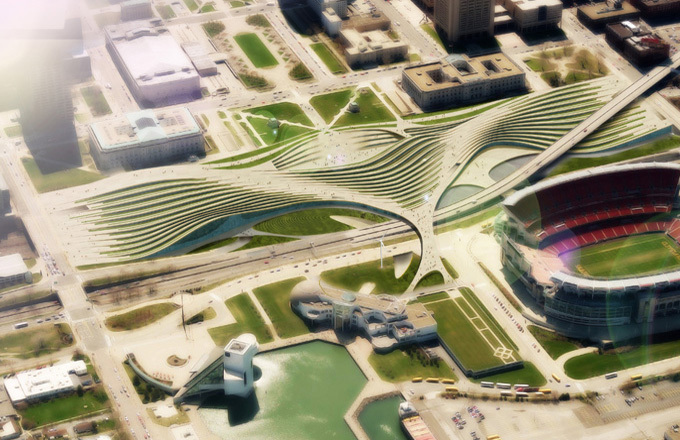 Recently, Mehrdad was awarded the commission for a new Greater Cleveland Rapid Transit Station in University Circle. Director, Austin E. Knowlton School of Architecture, The Ohio State University Ann Pendleton-Jullian is an architect, writer, and educator of international standing. Believing in the vital exchange between ideas and architecture, thought and action, she has founded her practice - Ann Pendleton-Jullian Architects in Boston - on both commissioned work and theoretical projects. Independently, and in previous partnership with Guillaume Jullian de la Fuente, she has produced a portfolio of work that exhibits a thoroughness of approach. Her work has been exhibited and published extensively and has developed a reputation for the manner in which it poeticizes the intersection between pragmatic concerns and the ambitions of the immaginiation. As a graduate of Cornell University with a degree in architecture, Pendleton-Jullian had first pursued astrophysics at Wellesley College and Cornell before changing her major. She earned a master of architecture degree from Princeton University in 1983. Director, City of Cleveland Planning Commission Robert is responsible for helping to shape the Mayor of Cleveland's vision for improving the quality of life in Cleveland's neighborhoods and creating a vibrant 24-hour downtown. He and his staff accomplish this through neighborhood and comprehensive planning, zoning code and map updates, development project facilitation, and research and data annalysis. Currently, he and his staff are leading the Connecting Cleveland 2020 Citywide Plan, a plan for the future of Cleveland's neighborhoods.